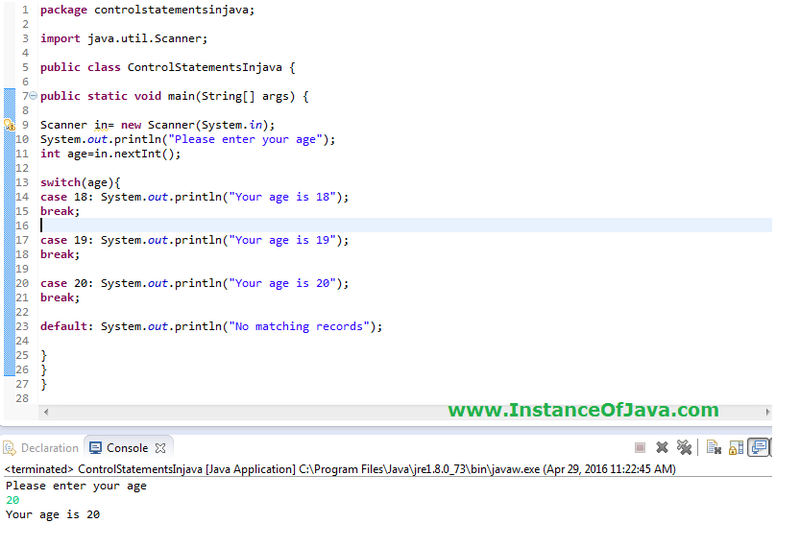 Programs in java will be executed in sequential manner means line by line execution of statements. By using control statements we can control the flow of execution. We have three types of control statements in java. In this scenario we need to use decision making statements in java. 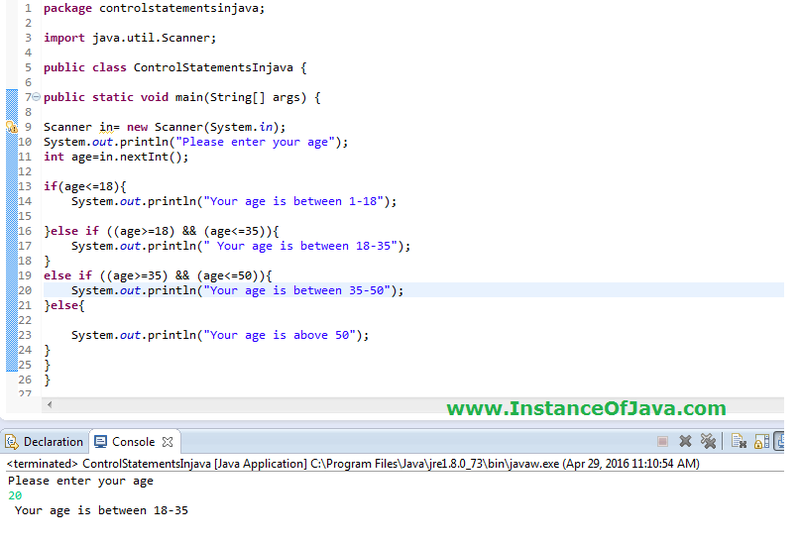 Based on some condition if we want to execute some set of statements then we need to use if condition in java. We need to keep all the required statements inside if block . If the condition is true then control executes the whole block otherwise it skips the if block of statements. if condition is false if we need to execute another set of statement we can write another if and keep all the statements in that block. instead of checking multiple times we can simply use else block .